Do you have one of the below query/question? 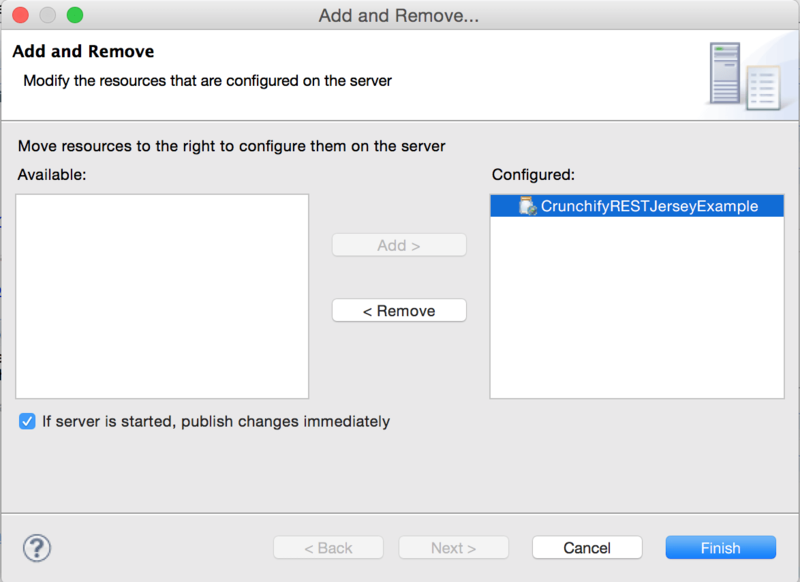 web services – Which is the best Java REST API? RESTful Service: Representational State Transfer (REST) has gained widespread acceptance across the Web as a simpler alternative to SOAP and Web Services Description Language (WSDL) based Web services. 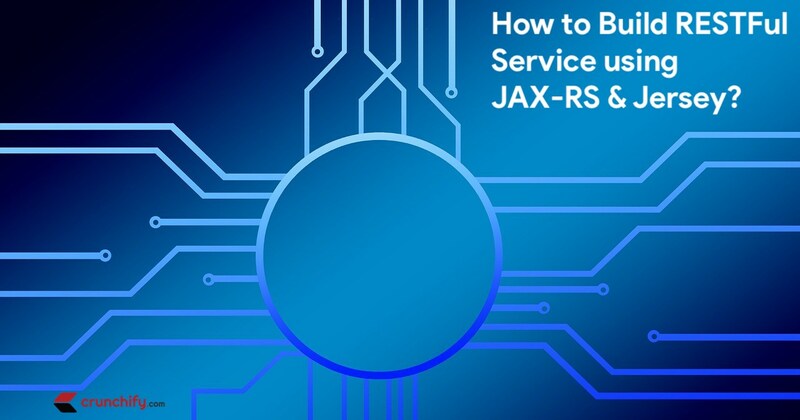 Jersey is the open source, production quality, JAX-RS (JSR 311) Reference Implementation for building RESTful Web services. But, it is also more than the Reference Implementation. Jersey provides an API so that developers may extend Jersey to suit their needs. In Eclipse => File => New => Dynamic Web Project. 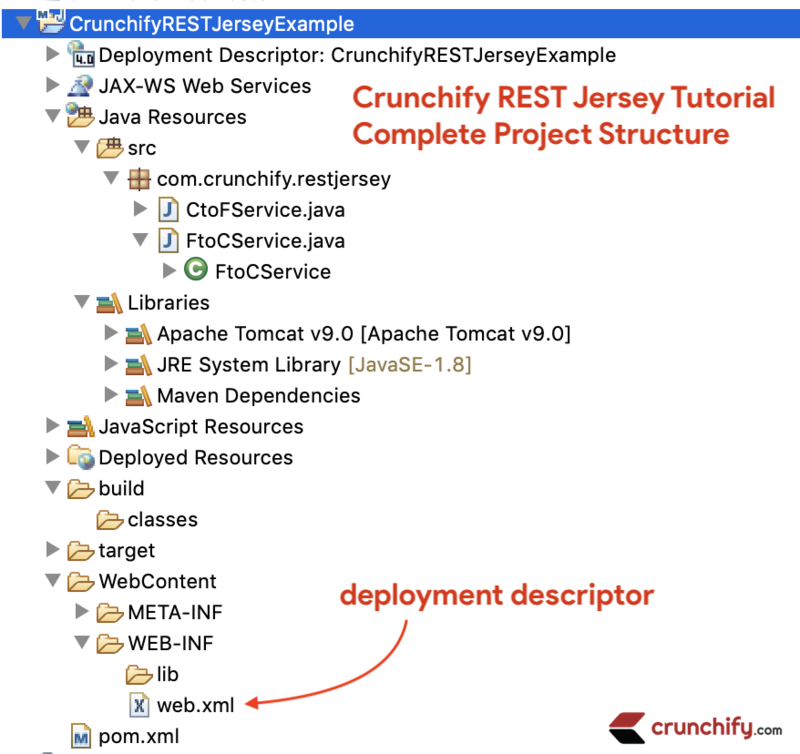 Name it as “CrunchifyRESTJerseyExample“. This will create web.xml file under /WebContent/WEB-INF/ folder. 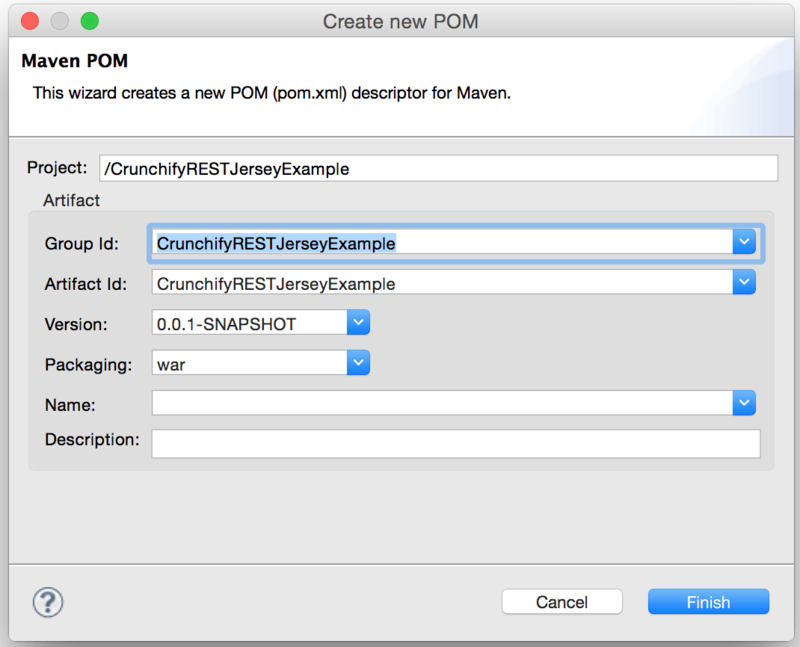 Now convert Project to Maven Project so we could add required .jar files as dependencies. Select option Convert to Maven Project. Just click on Finish button without making any changes. Open pom.xml file and add below dependencies. * * Description: This program converts unit from Centigrade to Fahrenheit. * Description: This program converts unit from Fahrenheit to Centigrade. Now let’s clean eclipse workspace and build project. For point 3 above use these screenshots: Maven Build, clean install. You should see build success message. 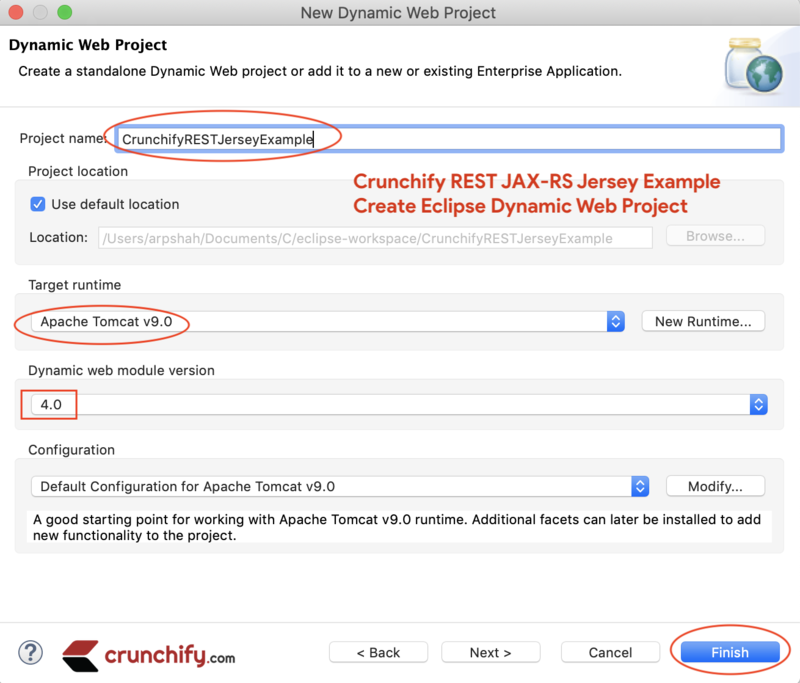 Deploy project CrunchifyRESTJerseyExample on Tomcat. 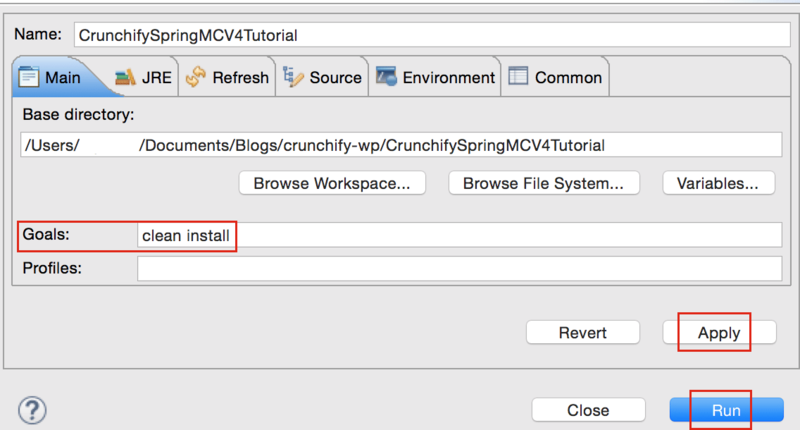 Here are detailed steps on how to setup Tomcat on Eclipse if you haven’t done so. Make sure you use JDK 1.8 for this project. Starting Java 9 – JAXB, JAX-WS, JAF, JTA, CORBA modules are removed and you need to add those modules manually to your Maven pom.xml file. All set. Now let’s test you RESTful Web Service. Initially I used jersey-core dependency. But added jersey-server dependency too to avoid below issue.